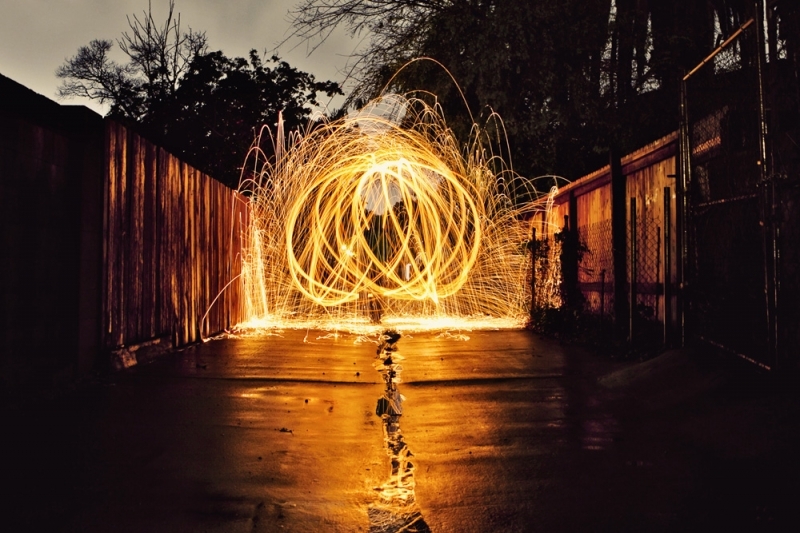 Through some research last week I discovered steel wool photography and thought I should give it a try. Here’s my first attempt. I can’t tell you the last time I took my camera out on the street to shoot something fun just for me. I do personal projects here and there, but nothing really where I just walk out into the street with a camera in my hand just to have some fun trying new things. It felt so good to just get out there and play. Thanks to all of you who have always, even when my fire’s been dull, fanned my flames.